It happens all the time. One minute, you’re Googling, “what is a differential?” because your teenage son told you that’s the source of your car trouble. The next minute, you’re looking at toasters on Amazon or exercise equipment on eBay, and all you see everywhere are pictures of axle girdles and Trac-Lot rebuild kits. If the internet is going to flood your senses with ads anyway, they might as well be ads for things you’re interested in. But how do they do it? How does a performance auto parts maker in Indiana find out your worn out bearings are whining for attention? The answer might surprise you. They employ a similar approach to that used in spam filters. 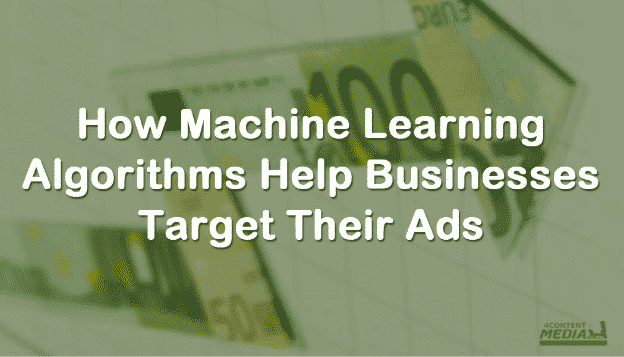 We’re talking about ads based on machine learning algorithms. Of course, it’s not the manufacturer who is performing the technological wizardry; but a talking ad marketing management service. While people learn by experience, computers “learn” by performing calculations in a sequence of steps called an algorithm. The practice is so widespread that if you search Twitter using the parameter, “talking ads machine learning,” in addition to a pile of very useful info, you will see tweet after tweet of people remarking about seeing online ads about things they were discussing while not even connected to a computer. Machine learning is a subset of artificial intelligence. CubeChain published a Venn Diagram that clearly illustrates the relationship between AI, Machine Learning, and Deep Learning. Artificial Intelligence refers to any method that enables computers to imitate human intelligence. It employs logic, if-then rules, decision trees, and machine learning. Machine learning, a subset of AI, embraces impenetrable statistical methods that allow machines to improve performance by experience. Deep Learning drills down to the algorithms, such as content algorithms, used to train a piece of software to learn how to perform tasks such as speech and image recognition. It achieves this by introducing neural networks with more than one hidden layer to astronomical amounts of data. Content targeting algorithms are a statistical programming way of sorting and predicting things with user data such as where you’re from, what websites you visit, what browser you use, what computer you’re on. Deep Learning is the future of talking ads marketing. The first documented ad to appear in print was on a piece of parchment posted on the door of a church in the 15th century by an author who wanted people to purchase a book he had written. Placing the ad this way gave him ample exposure; everybody who went to the church would have seen it, as would nonchurchgoers whose curiosity got the better of them at the sight of a notice on the church door. The problem with this ad placement is the high proportion of traffic that would have been exposed to it versus the number of visitors who were likely to buy the book. It had a low click-through rate. For one thing, the pool of potential customers would have been limited to those who knew how to read in the Middle Ages. Today’s deep learning algorithms are so sophisticated that the customer is able to track what networks and dayparts drive customers to their storefronts and identify those customers who saw their talking ads on television and proceeded to visit their business online or in person. Deep learning algorithms sift through billions of pieces of data from social media platforms such as Facebook, Twitter, Instagram, etc., from online reviews of products and services, from digital assistants such as Google Echo’s Alexa, and from smartphones. There are companies that mine television data for advertisers, only they aren’t just noting what you’re watching. The parent with the clapped-out transmission was most likely complaining about it to her son during an ad break while they were watching TV. Using a piece of software implanted into a game or app on her phone, one of these programs listened to what they were discussing, noted what they were watching and when, and harvested a ton of data which he transmitted back to the company, which, through the magic of neural networks, was able to present to its client, who could use that information to make better-informed spending decisions on when and where to place its television ads. A convolutional neural network is a type of deep neural network that is used mainly to classify images for facial recognition and other visual applications. Perhaps bizarrely, this technology is now being adapted for the purpose of detecting sarcasm in Tweets. A sarcastic comment such as, “My train is late again. Brilliant,” with its juxtaposition of the negative objective polarity (my train is late) with the positive sarcastic characteristic (brilliant) has the potential to confound the task of extracting a large amount of data. Applying CNNs can mitigate the problem. And that is how a manufacturer in Indiana can tell you’re having car trouble. You’re not being paranoid. Machines really are talking about you behind your back.